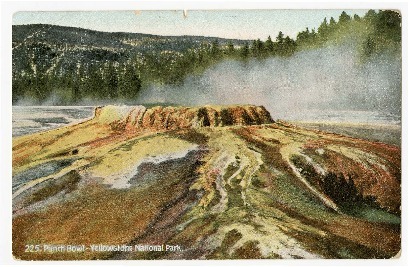 Punch Bowl postcard, Yellowstone National Park, 1908. Written on and signed on the back. Includes stamp of George Washington. 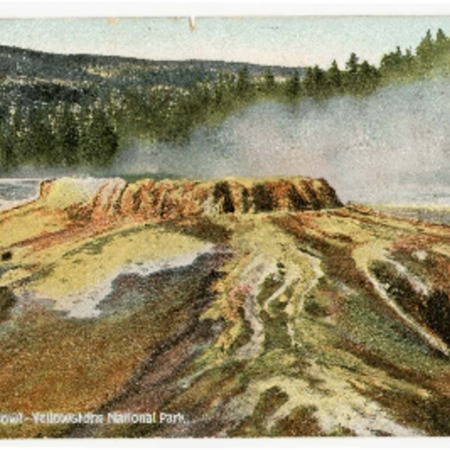 “Punch Bowl postcard, Yellowstone National Park, 1908,” Highway 89, accessed April 22, 2019, http://highway89.org/items/show/10226.